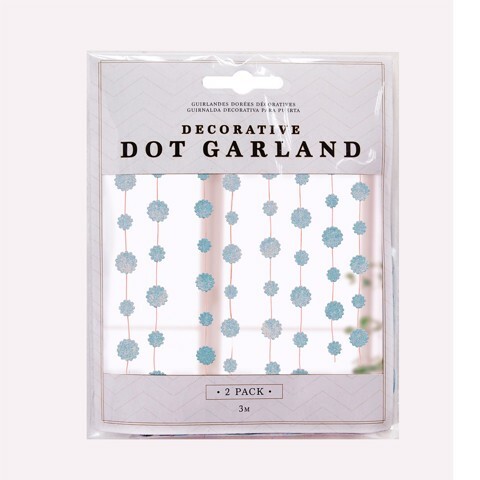 Dot Garland W/Glitter Blue 2Pk. String Length 3m | Dot Spacing 5cm | Diameter of Dot 4cm & 5.5cm. Blue. 150gsm Cardboard. 0 Packaging: Hang Sell OPP Bag with Fold Over Colour Insert Card.